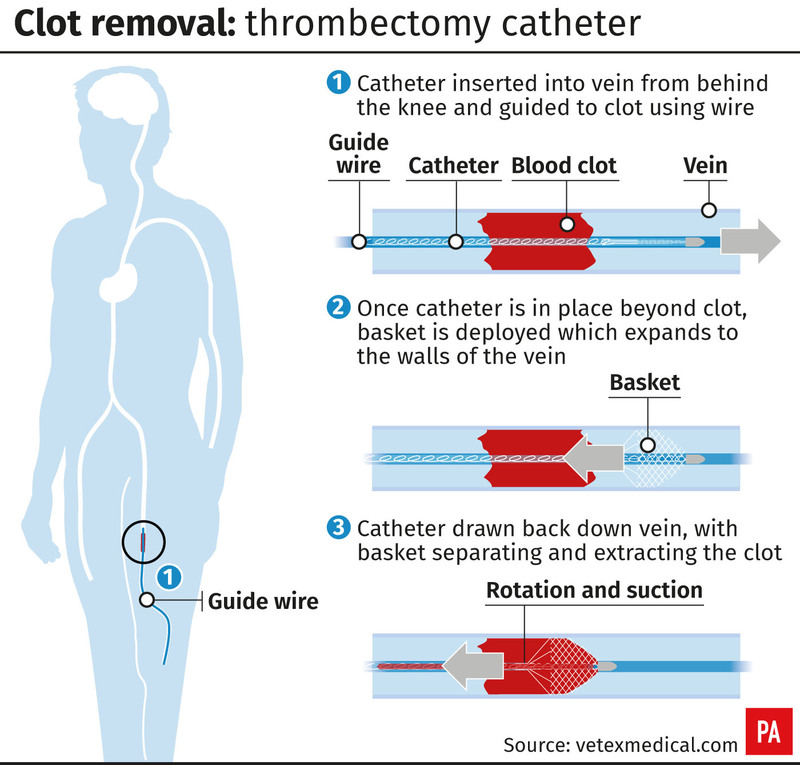 A UK patient has become the first in the world to be treated using a new clot-removing device. 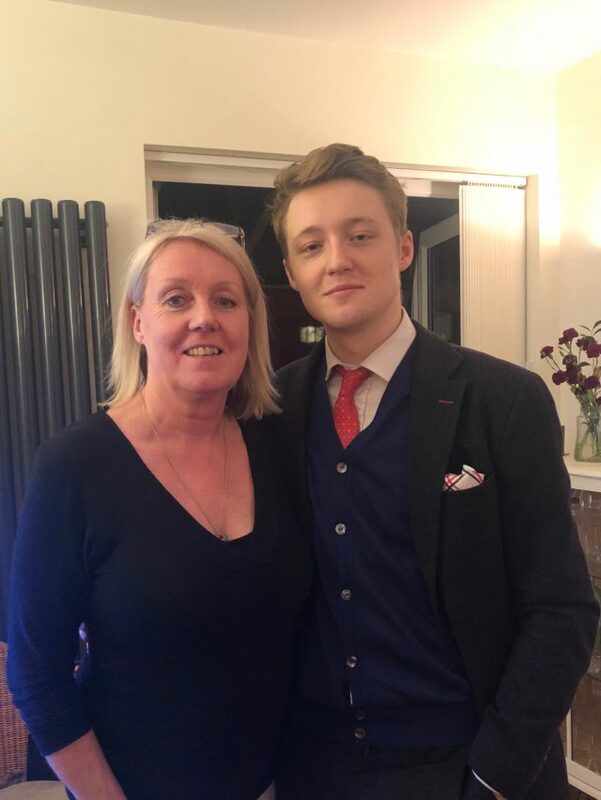 Jackie Field, from Eltham in south-east London, was diagnosed with deep vein thrombosis and underwent the procedure at St Thomas’ Hospital in November last year. 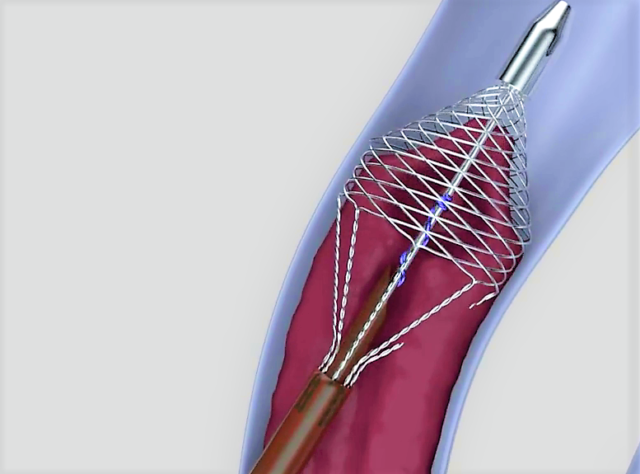 The device, which is inserted into the vein and catches the clot in a “basket” before pulling it out, could reduce costs for the NHS and cut down the time patients spend in hospital, researchers say. Deep vein thrombosis affects around 620,000 people in the UK every year, according to charity Thrombosis UK. The NHS estimates that 25,000 people who are admitted to hospital die from preventable blood clots annually. Ms Field, a mother-of-two, developed a clot following an operation to repair an internal tear in her abdomen at Woolwich Hospital in November. The 55-year-old noticed swelling in her leg a few weeks after returning home and was transferred to St Thomas’ Hospital. She could not be treated with drugs that break up the clot or thin the blood, and was instead offered the chance to take part in a trial of the new device made by Vetex Medical. The procedure was carried out by Stephen Black, a consultant vascular surgeon at Guy’s and St Thomas’ NHS Foundation Trust. “The potential consequences of leaving deep vein thrombosis in the leg rather than removing it are very bad for patients,” he said. “They can go on to develop post-thrombotic syndrome which is a long-term condition that can cause severe pain, mobility problems and, in some cases, ulceration. The Vetex Thrombectomy Catheter is inserted into the vein and guided to the affected area in the patient. Its “basket” is then deployed and expanded so that it touches both sides. The combination of a rotating action and suction allows surgeons to pull large blood clots from the walls of the vein and remove them. The device is a “significant improvement” on existing technology, Mr Black said. Mr Black said the new device could save the NHS money, reducing the amount spent on expensive clot-busting drugs and turning an average two-day stay in hospital into a single-day procedure. It also removes the risk of dangerous bleeding associated with the drugs, he said. “In deep vein thrombosis, blood clots are often stuck to the walls of the veins and difficult to fully remove,” said Mark Bruzzi, chief executive of Vetex Medical. “The Vetex device is designed to remove a large amount of clot stuck to the walls of the vein in one treatment, without the use of drugs. The device continues to be trialled at Guy’s and St Thomas’ and could be made available as standard treatment if proven safe and effective.